In looking at the impact of salaries we will compare two towns of similar size, Milton and Greenfield - one hundred miles apart in distance, and many dollars apart in size of pensions. Milton is an affluent Boston suburb governed by a three-member board of selectmen and a representative Town Meeting. It has a town administrator who runs the day-to-day operations. The town has very little industry, depending mostly on property taxes. The average property tax bill is $4,886. "Taxes are on the rise," said Kevin Cleary, administrator of the Milton Retirement Board. "Without much industry, the tax base falls heavily on homeowners. Home sales have been sluggish lately, but you can't touch anything in this town for under $425,000. You won't see many new homes being built; there just isn't any available land for construction." Greenfield, in northwestern Mass., was once a flourishing industrial town with several factories and mills, most now long closed. Although classified as a town it has a mayor and town council form of government, similar to a city. The average property tax bill in Greenfield is $2,827. "Franklin County (Greenfield) is probably the poorest county in the state," explained Mike Kociela, Greenfield's town accountant, who is also the ex officio member of the Greenfield Retirement Board. "While it's true that well-paying jobs are scarce, the cost of living is less than the Boston area. Property taxes are lower and you can buy a nice six-room house for $160,000." 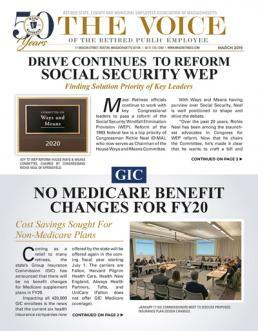 Milton has a work force of 331 employees who are members of the Milton Retirement System. According to the most recent actuarial valuation completed by PERAC, the Public Employee Retirement Administration Commission, Milton's average salary is $42,371. PERAC's report shows that Greenfield, with 377 employees holding membership in the Greenfield Retirement System, has an average salary of $30,964. The average salary of Milton's employees is 26.92% greater than that of Greenfield's employees. The accompanying chart prepared by PERAC shows that Milton's salaries are also higher in every five-year age bracket. The very low salaries of the small number of employees with ages under 25 and over 65 in both systems are mostly the result of employees who do not work full-time. Milton has 297 retirees and survivors collecting an annual pension from the Milton Retirement System. Their average pension is $18,735. Greenfield's Retirement System has 212 members collecting an average pension of $14,118. Comparing the two systems, Milton's average pension is 24.64% greater than Greenfield. By comparing the average salary to the average pension of each of these two communities, the corollary of the impact of salaries on pensions becomes very clear. The numbers speak for themselves. Not included in this demonstration are the teachers' pensions in the two communities. Their pensions are co-mingled with all retired teachers in PERAC's valuation report on the Teachers' Retirement System. However, it's a pretty good bet that retired teachers from Milton are receiving pensions that are proportionately higher than Greenfield's retired teachers.